EVERY ONES FAVOURITE PIG.... This castle is especially for you... Have the perfect piggy party with this peppa Pig and George themed castle. Suitable for piggy’s up to 1.5m high. 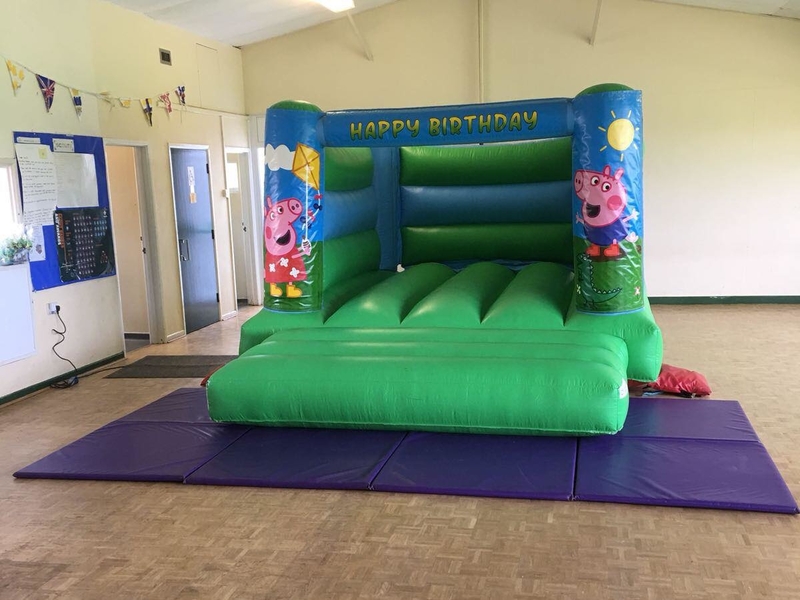 This castle is suitable for indoor or outdoor hire. Perfect for low height ceilings being 7.5ft tall.